Today's card is my DT inspiration for The Sugar Bowl. I have been a tad shaken by the number of Christmas cards some of my lovely bloggin' friends are creating and as there are only 147 days to go I thought I had better make a start. 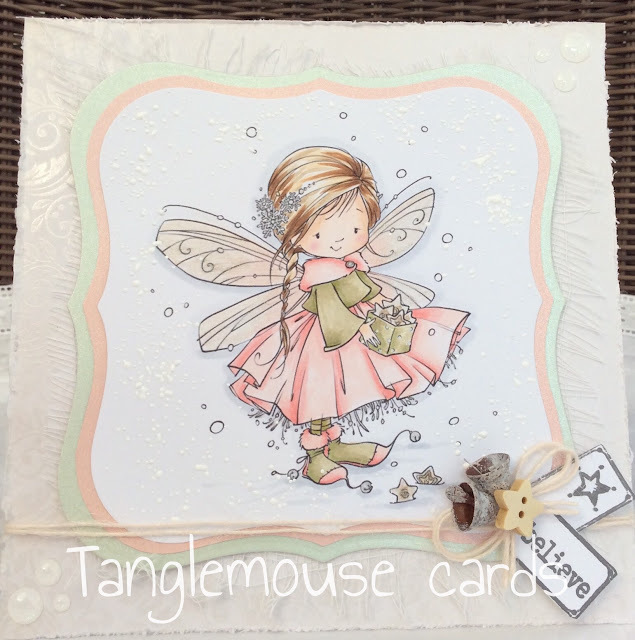 I decided to make my card with the gorgeous Sugar Nellie Digi - Wish Upon A Star. I coloured her with Copics and used some pearlescent card to create layers. I used some twine, a button and some rusty bells (love those! they are from Live and Love Crafts). Finally, I added some sentiments from Lili of The Valley and a dusting of Frantage. Here we are then, - it's the most wonderful time of the year... (I do mean that you know)! She is soooo adorable Sue - love the gorgeous soft colours and fabulous focus on the image. some of those rusty bells might have to fall into my shopping basket!!!! I love the sugar nellie fairies and this one looks so pretty. A gorgeous card Sue. This is totally gorgeous! Love the colour and those bells! Gorgeous card Sue. I think I've got that image. And I don't think I have ever used her. That's terrible isn't it?! I seem to spend my days catching up with my comments at the moment.... sorry I'm late! But you needn't be shaking by the amount of Christmas cards I've made..... zero!! LOL! 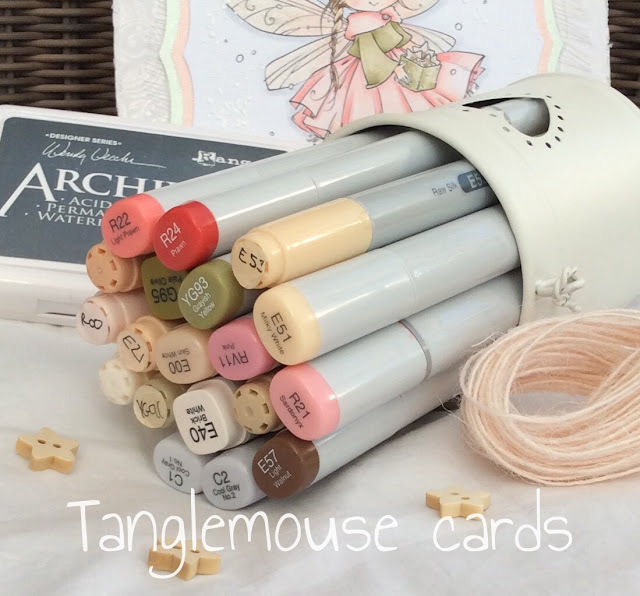 Your card as always is beautiful......... delicate, soft colouring - and wonderful choice of shape and papers too!